is located in a remote valley in the Alaska Range. We’ve been hunting this area for many years; some of our hunters return year after year to hunt this area with us. The sheep population here is good, and is further augmented with other bands of sheep moving into the area to take up residence in the lush, well-watered slopes. 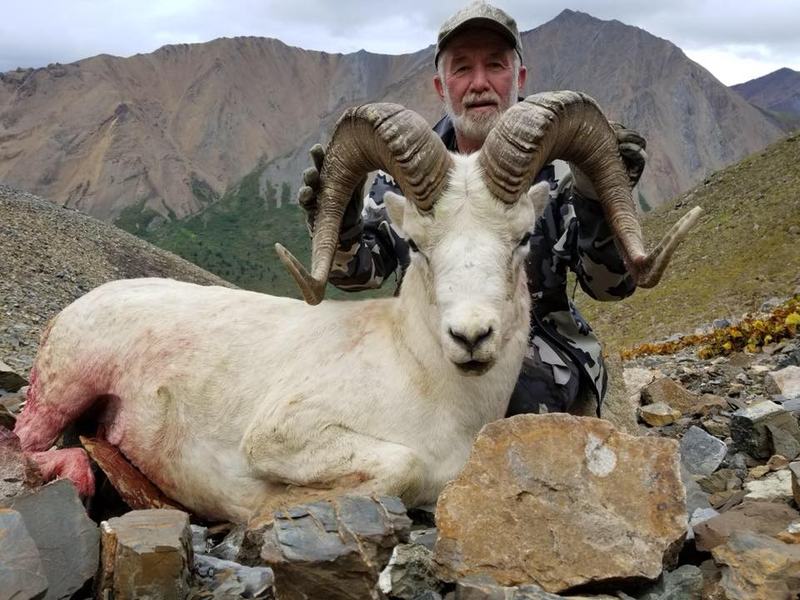 Adam Lavoie and his 2018 37″x14″ ram taken with guide Steve Runyon. After arriving at base camp all hunting is done on foot out of remote spike camps. The area offers a lot of diverse terrain, and it is possible to hunt ten days here and not cover the same ground twice. Sheep hunting is strenuous, so we urge you to start a workout schedule at least three months in advance. We expect our sheep hunters to be in shape, because they have to go where the sheep are! Be prepared for some climbing- but bring your camera along, too. The view from on top is breathtaking! You might consider adding a caribou tag, a black bear tag, or a wolf tag to your sheep hunt; all three animals are found in this area, though caribou are not as abundant as they once were. Even so, we occasionally take a nice one in our area. Alaska law allows a hunter to take a black bear on an unused caribou tag, so some hunters just get the caribou tag and are ready for either. 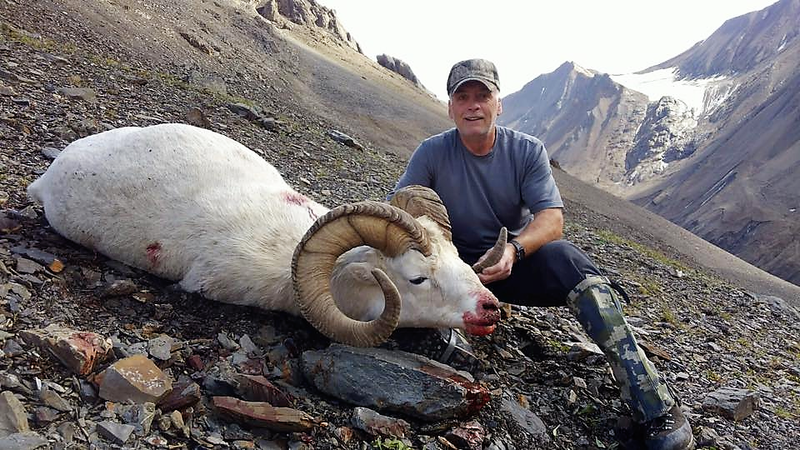 Grizzly can also be added to our Dall sheep hunts. The grizzly population in this area is good and griz can be hunted here in September. 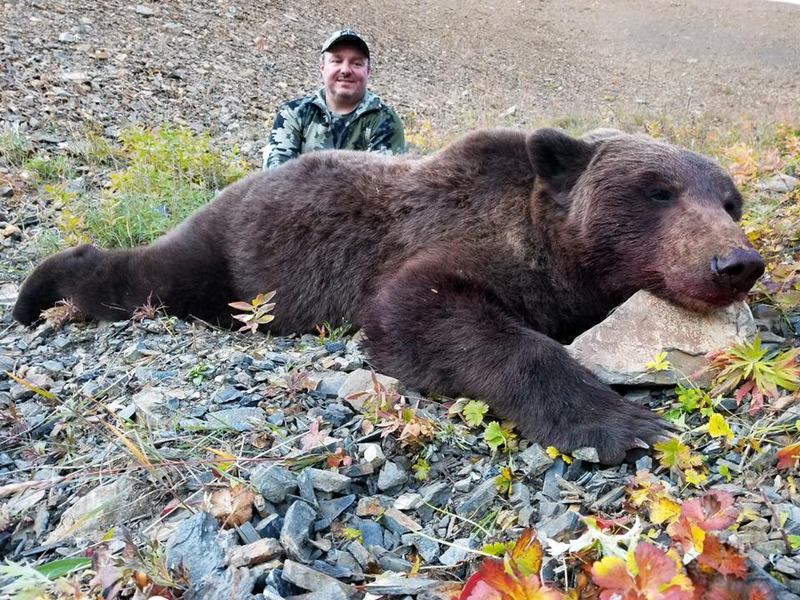 Greg Fleming and his 2018 interior Griz taken with guide Matt Rees. Chuck Mager and his 43″ ram that officially scored 172 6/8″ and became the 164th ram of all-time B&C. 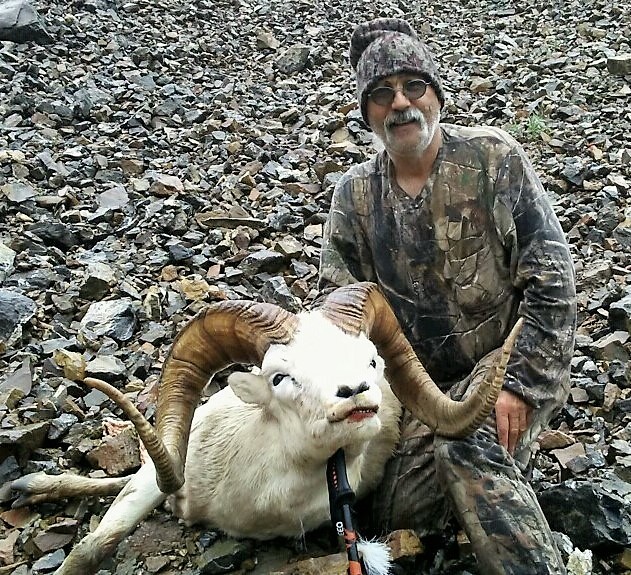 George Gerner and his 41″ ram. George’s ram qualified for annual B&C awards. Above, a short clip taken from our main sheep camp.